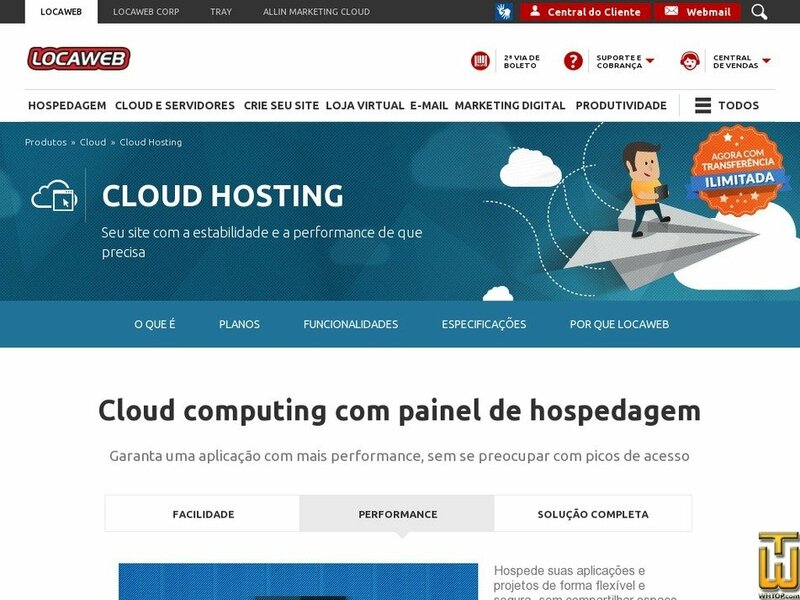 See also original Cloud Hosting II plan location on their website! Enable cache on Linux and leave your site lighter and up to 300 times faster. MySQL 5.6 with up to 1 GB in each base (shared or dedicated web according to the option or web + database) . PostegreSQL with up to 10 GB on each base (only shared basis) . Access and manage the databases of every stay with the tool you prefer. SQL Server 2008 R2 Web Edition * - Dedicated and unlimited **: R $ 34.90 / vCPU. Administration via PHPMyAdmin for MySQL.